The parsim command allows you to run parallel (simultaneous) Simulink® simulations of your model (design). In this context, parallel runs mean multiple simulations at the same time on different workers. parsim makes it easy for you to run the same model with different inputs or different parameter settings in scenarios such as Monte Carlo analyses, parameter sweeps, model testing, experiment design, and model optimization. Running a single simulation in parallel by decomposing the model into smaller components and running those individual pieces simultaneously on multiple workers is currently not supported. 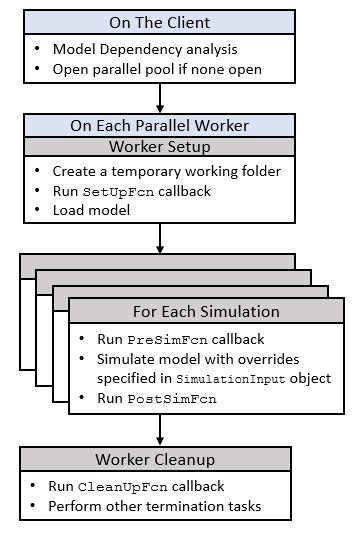 To run the simulations in parallel with parsim, you need a Parallel Computing Toolbox™ for local workers. In addition, you can use MATLAB® Parallel Server™ for multiple computer clusters, clouds, and grids. In the absence of Parallel Computing Toolbox and MATLAB Parallel Server, parsim runs the simulations in serial. For more information, see Parallel Computing Toolbox and MATLAB Parallel Server. If no parallel pool exists, parsim creates a pool from the default cluster profile . To use a cluster other than the default, create a pool with that cluster profile before calling parsim. This example runs multiple simulations in parallel for a set of sweep parameters. parsim runs simulations with different parameters and values based on the Simulink.SimulationInput object. Each SimulationInput object specifies one simulation of the model. An array of these objects can be created for multiple simulations. For more information, see Run Multiple Simulations. Changes to model library blocks can be overwritten when using parsim. 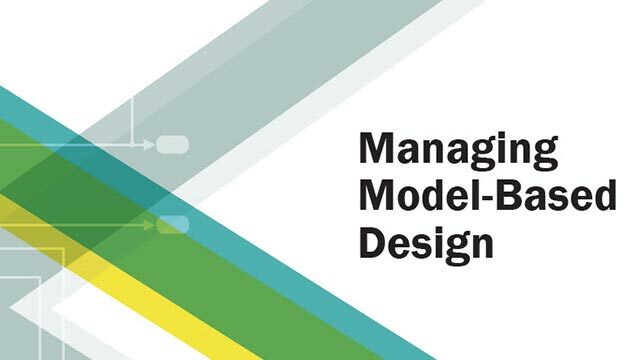 When models are set up on new workers, model inherits properties directly from the worker library. Use SetUpFcn with parsim to transfer the model library block changes to the workers.